The property is centrally located on Queens Road overlooking the picturesque Albert Park Lake the renowned Formula 1 Australian Grand Prix track and situated adjacent to parks sporting facilities and a golf course. The property is one of Melbournes larges t conference and event centres. Choose from 28 function rooms with over 2,600 square metres of space with a seating capacity of up to 1400 guests. 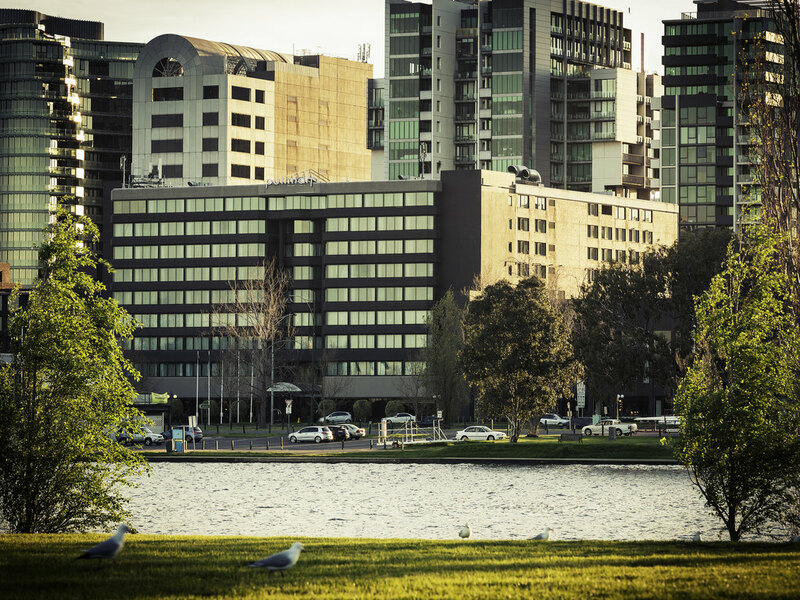 With a public transport network on the doorstep, Mercure Melbourne Albert Park provides easy access to the best of Melbourne, including nearby St Kilda and Luna Park, the Botanic Gardens, Southbank, Crown casino, MSAC and the Melbourne Grand Prix circuit. Warm, inviting and tastefully appointed, each of the guest rooms and suites at Mercure Melbourne Albert Park offers the perfect place to relax. With a wide variety of room configurations available, this beautiful Melbourne hotel is the ideal base for any type of traveller - with Premium, Privilege and Family options on offer. Each room features a large work desk, a flat screen LCD with cable channels, Wi-Fi and cable internet access, in-room safe, and a modern ensuite with Mercure branded bath products. This contemporary licensed venue, located on the ground floor of the hotel is the perfect spot for an early morning coffee, relaxed lunch or informal meeting. cafe@sebel offers specialty teas, espresso coffee, bakery items, fresh salads and sweet treats. The Atrium Bar Lounge is an ideal location in Albert Park bar for an after-work drink or casual bite to eat with friends. Enjoy the ambience whilst sampling an impressive beverage selection imaginative cocktails and an extensive snack menu.